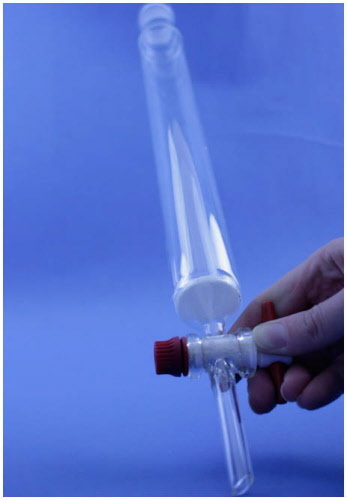 SGL – Scientific Glass Laboratories Ltd of Stoke-On-Trent, Staffordshire - one of the UK’s largest manufacturers of laboratory glassware offer a comprehensive range of Laboratory Chromatography Columns. Columns 10mm to 25mm bore fitted with 2mm bore stopcocks. Columns 30mm and 40mm bore fitted with 4mm bore stopcocks. Por 0,1,2,3 and 4 available. Add to Code No. e.g. R1/10/0 etc. Website Design and eCommerce SolutionsD7. eCommerce solutions.